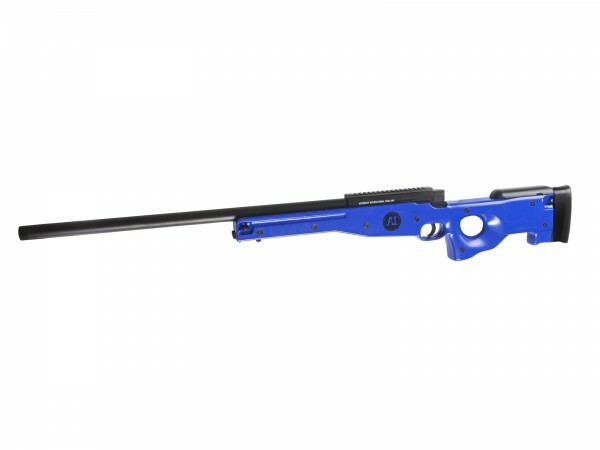 A very powerful spring operated sniper is the licensed Accuracy International AW .308. Out of the box it shoots close to 2 joule and weight 3 kilos with its solid metal construction barrel and plastic stock shell. The Sportline AW .308 has adjustable Hop-Up for accuracy and top rail for mounting aiming device.